Congratulations Ebiuwa A. Osula and Heather Sykes! Let’s just say she wasn’t born with it…a country glow as beautiful as singer, Maren Morris’s takes a village. To achieve Maren’s glow-y complexion, naturally, try clean beauty products that work from natural skin care leader, Derma-E. What’s more, the brand just added three more products you’ll want to try to their best-selling collections. This January, natural sin care brand, Derma E adds three more products to it’s website. Two people will be selected to win all three products mentioned in Beauty Buzz. ANSWER THIS: H.E.R. was featured in which post, AND what does the acronym stands for? 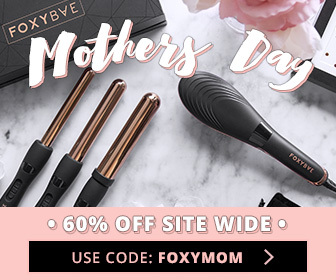 Ends: March 17, 2019 @ 5:00pm PT/8:00pm ET. The winner will be announced HERE. IMPORTANT: The notified winner MUST respond within 48 hours to an email that is sent from gregorie@hueknewit.com or another person will be selected. I mean it! REMEMBER TO LEAVE YOUR TWITTER HANDLE (if you have one) & EMAIL ADDRESS & show this post some love by “LIKING” it! If you’ve won within the last four weeks, you cannot enter this giveaway. No Email Address. No Prize! Good luck! For now, I’m obsessing over the wipes because my makeup, especially my under eye concealer melts off. This is significant because other wipes that I’ve used force me to do way more rubbing than I’m comfortable with, which scares me since the area under your skin is quite thin. H.E.R. was featured in the article “Protect your Lips from Wear & Tear” and H.E.R. stands for Having Everything revealed. Protect your Lips from Winter Wear & Tear. H.E.R. stands for Having Everything Revealed. LIked and shared the article. H.E.R was featured in the post “Protect Your Lips From Winter Wear And Tear” and H.E.R. stands for Having Everything Revealed. I liked this article and shared it! Well my Twitter and Instagram name is the same. Article was Protect your Lips from Winter Wear and Tear. It stands for Having Everything Revealed. Thanks so much! Have a brilliant day.